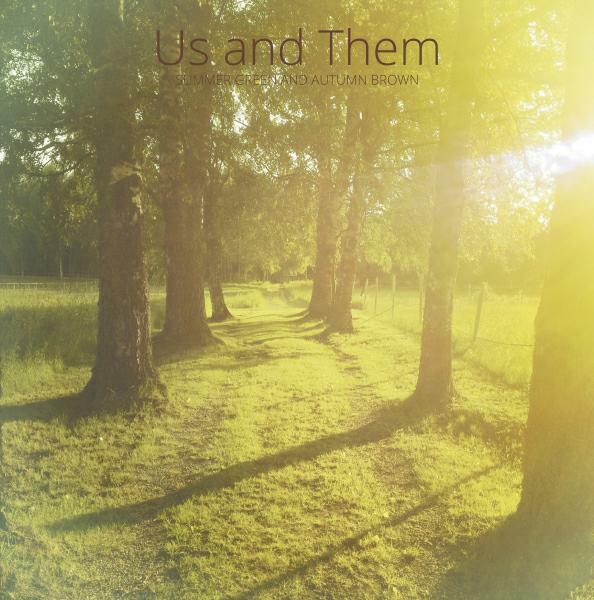 Us and Them are the Swedish duo of Britt Rönnholm and Anders Hakanson. They debuted in 2008 with a CD on their own Withdrawn Recordings label and also have had EPs on the Ritual Echo and Fruits de Mer labels. My introduction to the duo was their stunningly gorgeous Pagan-Folk inspired Songs from The Wicker Man collaboration with Frobisher Neck, released by Fruits de Mer. And now Mega Dodo has released their first full length of original songs: Summer Green and Autumn Brown. Us and Them create some of the most beautifully delicate and pastoral Folk based Psychedelia I’ve ever heard. Britt’s vocals out Sandy Denny’d the original with their cover of Denny’s By The Time It Gets Dark on last year’s Fruits de Mer EP. But there are Prog and spacey influences as well. The music at times evokes early acoustic driven Genesis, but can also be gently symphonic and nearly always includes a spacey Pagan-Folk vibe, plus bits of Medievalism, dashes of Baroque and elements of 60s Pop-Psych. We’ve also got the added twist of cosmic synths and sci-fi effects. The spacey elements are typically light… They color. They embellish. They put Us and Them outside the box without being overly intrusive. The melodies are spellbinding, with guitars and vocals flowing like an enchanted forest magic carpet ride. From one song to the next I felt like I was hearing a siren call, enticing me into Rönnholm and Hakanson’s dreamy wilderness. The synths get more front and center attention on a couple tracks. Here Again is a little different, going deeper into space than other songs and even getting into some intense electronic experimentalism. And the 10 minute From The Inside, Looking Out is the album’s Space-Folk-Prog epic, with its cosmically moody atmospherics and sometimes doomy vibe that intersperses with the trademark Us and Them Folk infused surrealist beauty. They should have named this album The Seduction. A shoe-in for my Best of 2015 list. Summer Green and Autumn Brown is available in CD, vinyl LP and download editions, plus a limited (100 copies) 4-CD set that, in addition to Summer Green and Autumn Brown, includes the band’s three Fruits de Mer EPs. The 4-CD set is exclusive to the Mega Dodo Bandcamp page.